The gathering of the supplies. I lined my garage floor with newspaper. I printed out the computer composite sketch of the cover. 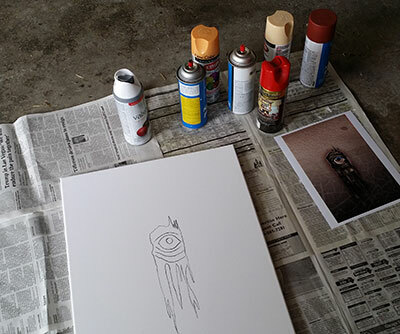 On a blank canvas, I drew a rough outline with Sharpie. 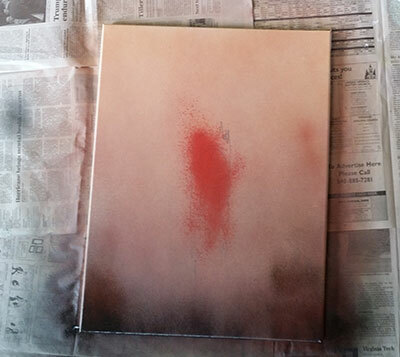 I used spray paint to create the background gradient and a burst of red. 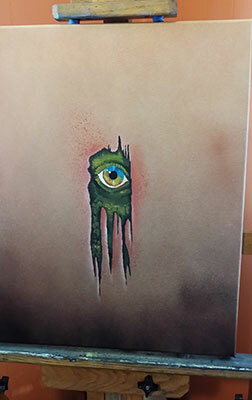 On the easel, I painted the ripped texture, the reptile skin, and the eye. I photographed the canvas and put it into Photoshop. I added some shading and corrected some color. The background doesn't quite have that "skin" texture. What better source than my own skin? 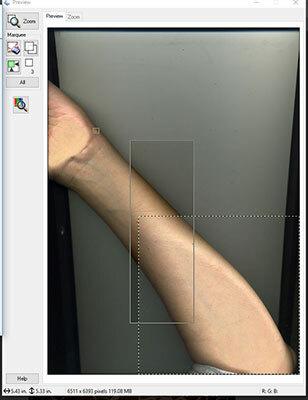 Here's my arm on the scanner. 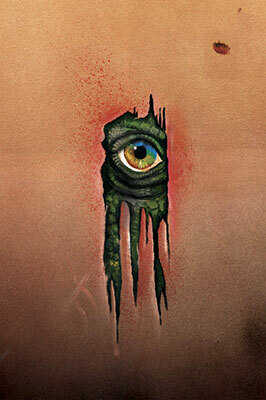 Image with skin texture in place. 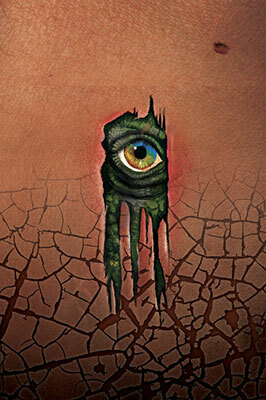 Stock image of cracked texture layered on top. 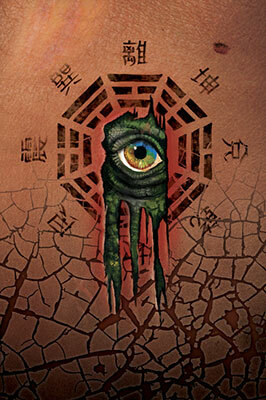 Now to add the I Ching. 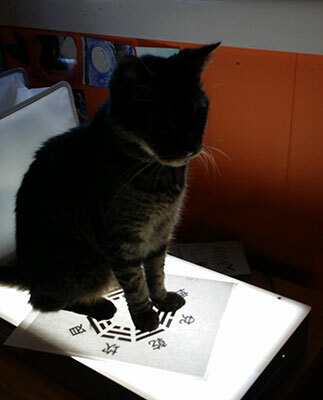 Moody always volunteers to help. 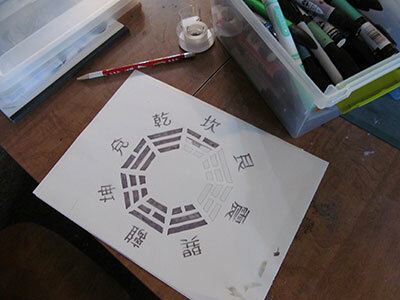 Markering in the I Ching. 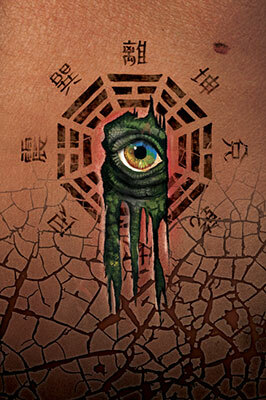 I Ching added to the layered file. Final touches include scar tissue in the upper left and darkening the red around the center rip.